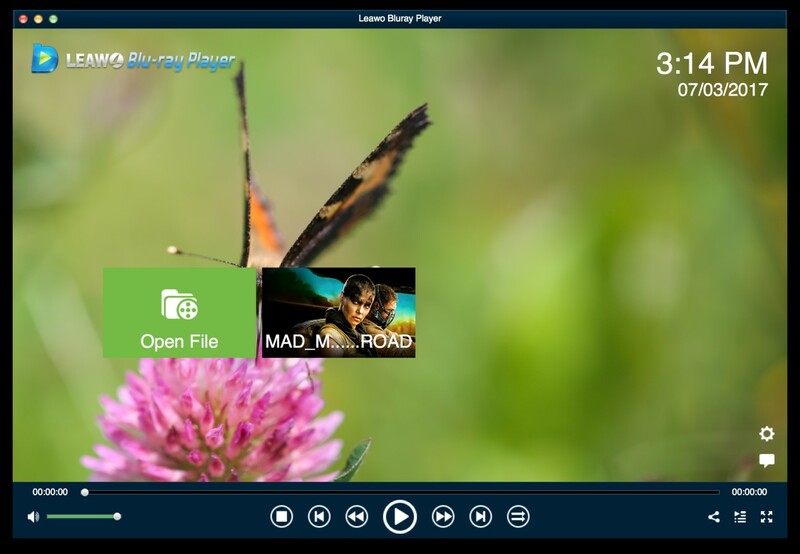 Leawo Free Blu-ray Player for Mac is a Blu-ray media playback software program which can be used for playing all kinds of media files on Mac computer, iMac or MacBook. As a multifunctional media player software program, it supports all the Media Input related to Blu-ray, DVD, physical digital media, container formats, as well as the video and audio formats and so on. 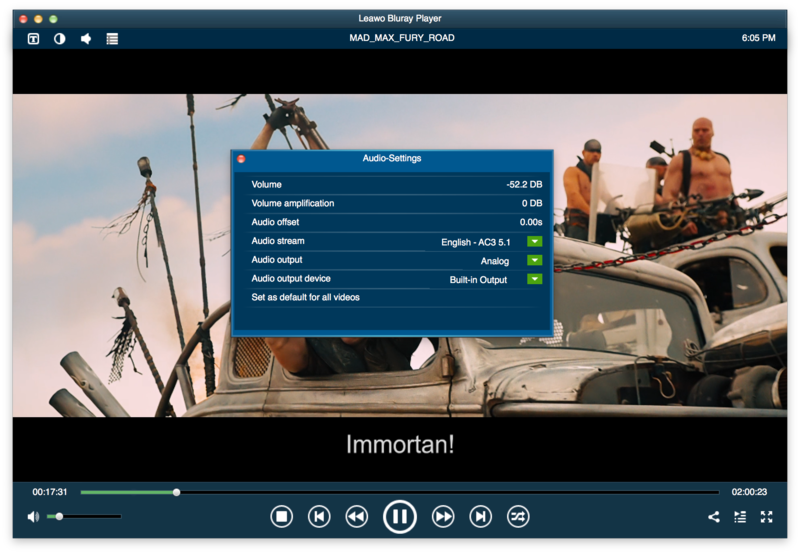 With advanced video and audio enhancing technology, Leawo Blu-ray Player for Mac provides extraordinary and excellent cinema-like movie enjoyment for free. You can absolutely enjoy WebM on Mac as well, since it is also regarded as the most popular WebM encoder on Mac. 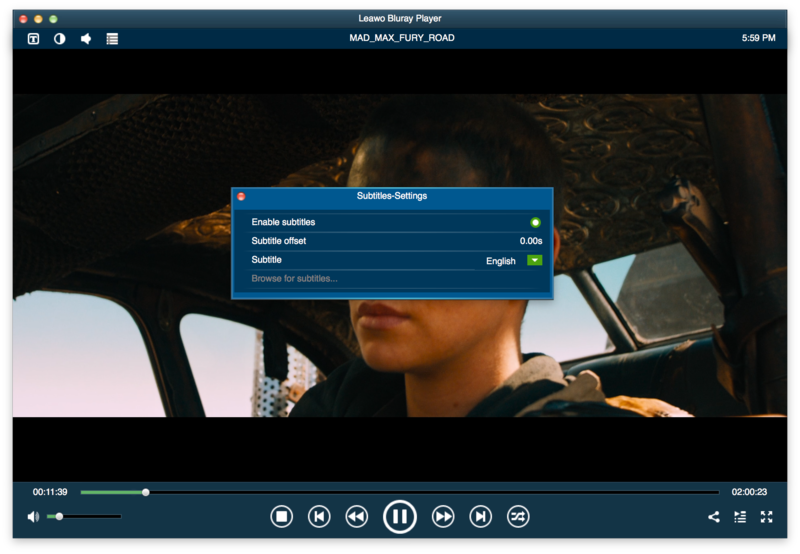 When you enter the main interface of the player for Mac, you will see an “Open File” option (if you have DVD drive and BD drive, there will be three options available.). Then you can click it to load your WebM video or you can right click on the main interface to choose “Open” to load your file or file folder. 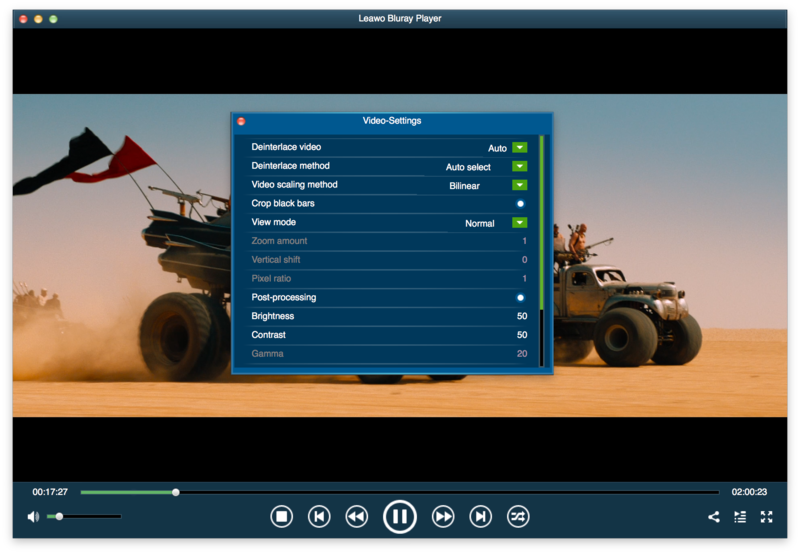 With Leawo Free Blu-ray Player for Mac, you can optionally select subtitle from the WebM file. You can right click on the player interface and then select “Subtitles” option, or click the subtitle icon on the upper-left corner of the interface to enter “Subtitles-Settings” panel. Right click on the playing interface, or move to the upper-left corner of the interface to click the video setting icon to call out the “Video-Setting” panel. On the upper-left corner of the interface, click the audio setting icon to enter the “Audio-Setting” panel. Or .you can right click on the interface and choose “Audio…” for entering “Audio-setting” panel. With this WebM player Mac, you can easily get WebM files played and enjoy yourself with high video and audio quality. Absolutely, you may also prefer to enjoy your video with all other common video players. If so, you are required to convert WebM to the common MP4 video format which is popular among almost all the video players. 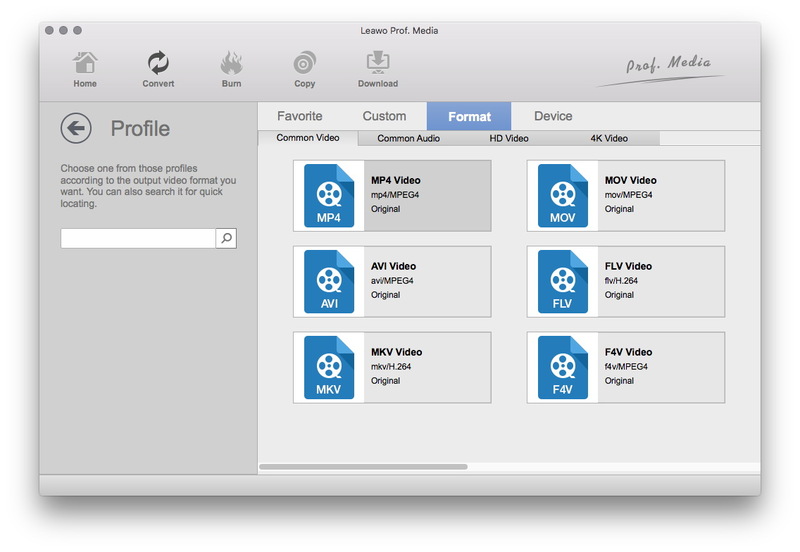 And Leawo Video Converter for Mac is the right WebM converter Mac that can meet your needs. Leawo Video Converter is a powerful and professional program developed by Leawo Software for converting various video and audio files to formats that are supported by most of the multimedia devices. 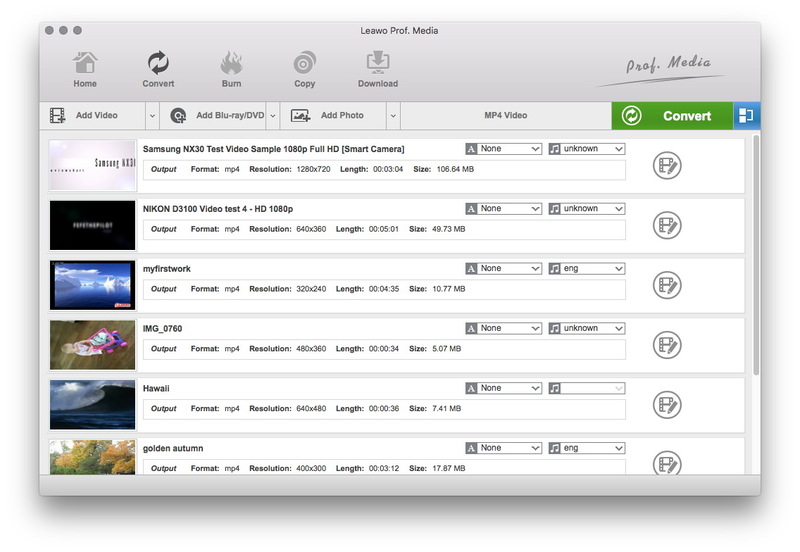 And Leawo Video Converter for Mac is particularly designed for Mac, which supports various video files input and output including MP4, AVI, MOV, MKV, FLV, HD/4K video formats, etc., as well as various audio files like MP3, AAC, FLAC, AC3, etc. Besides, it is also WebM video converter Mac which can work for WebM to MP4, WebM to AVI, WebM to WMK conversion in simple steps at 6X speed with original quality preserved. Hit on the button below to download and install this program. Enter the “Convert” tab by clicking “Convert” on the menu bar or “Video Converter”, click the “Add Video” button to browse and load WebM video files into converter on Mac, or directly drag the WebM files into this program. The imported WebM files will be listed on the panel, and you can add the subtitles, rename the files, edit the video and merge all the videos into one. 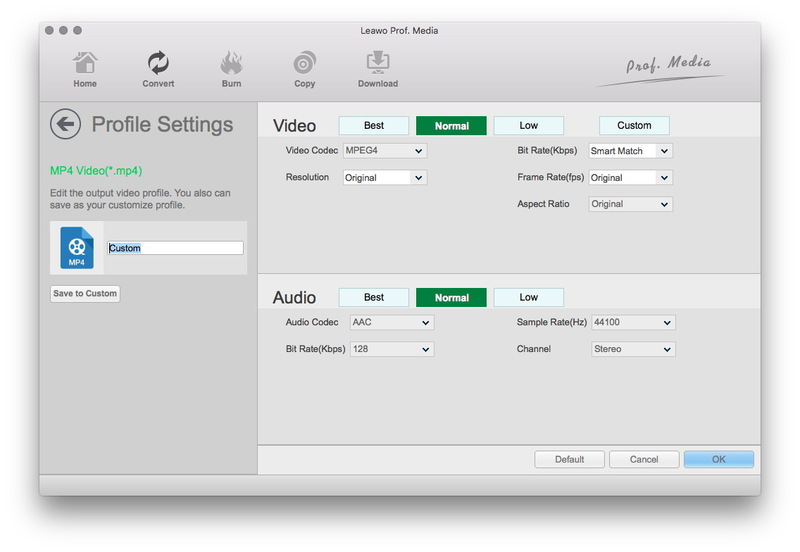 Click the drop-down box next to the big green “Convert” button, and then choose”change” option to enter the “Profile” panel where you can select “MP4 Video” as output format. Go back to the drop-down box and choose “Edit” option to enter the Profile Settings panel, where you are allowed to set Video Codec, Quality, Video Size, Bit Rate, Frame Rate, Aspect Ratio, and Audio Codec, Audio Quality, Bit Rate, Sample Rate, Channels. Return to the main interface and then click the big green “Convert” button to pop up the output directory setting panel, where you could set output directory in the “Save to” box. After setting the directory, you click the “Convert” icon at the bottom of the sidebar, and then the Mac WebM converter will start to work. You will get the MP4 video in minutes with the original quality reserved. Finally you can play the converted video file freely with any common video players. 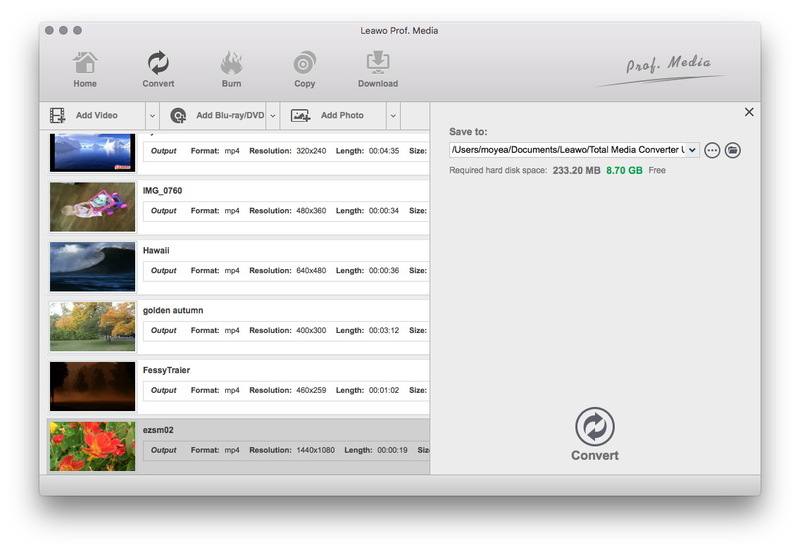 To be included, Leawo Video Converter for Mac working as WebM video converter Mac is so powerful and helpful for you to convert WebM to MP4 or other video or audio formats you need. And the Leawo Free Blu-ray Player for Mac as WebM player Mac mentioned above can also perfectly play the source WebM video files. Anyway, no matter you want to get the source WebM file to be played or converted, you can get your way here. The trial free WebM converter Mac will offer you help without any cost and the Leawo player is totally free as well. Feel Free to try different ways to play your WebM files.